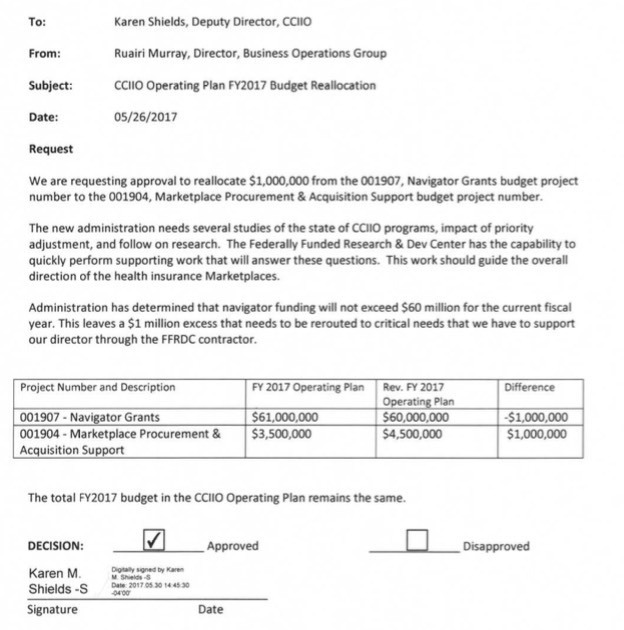 Home » Blogs » Charles Gaba's blog » EXCLUSIVE: I believe this is what's called a "scoop". 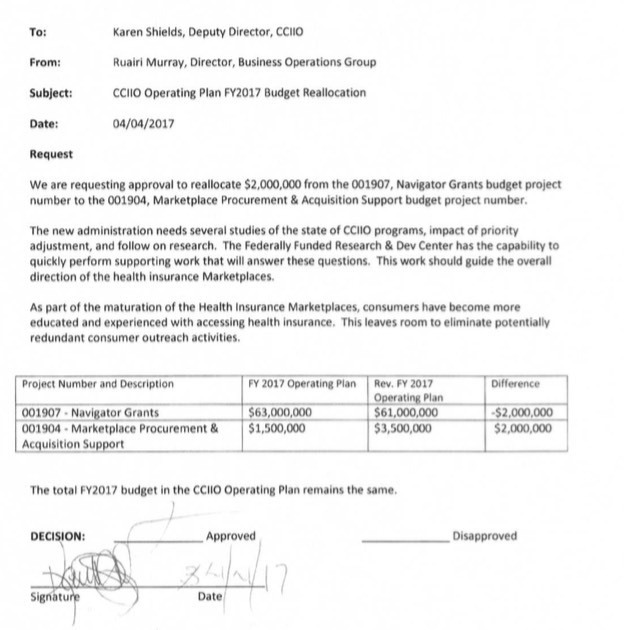 The documents are decision/financial docs relating to Navigator grants, intended to be distributed to various non-governmental organizations who help teach individuals how to understand health insurance policies and how to purchase them on the health care exchanges. 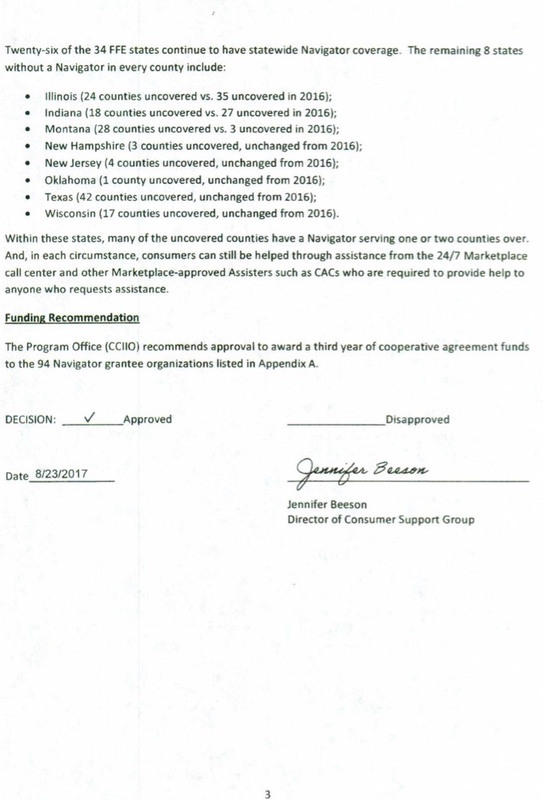 I've been informed that up until the day HHS issued its press release cutting the Navigator grants, CMS was working on awarding those grants using close to the same amount of funds as last year. 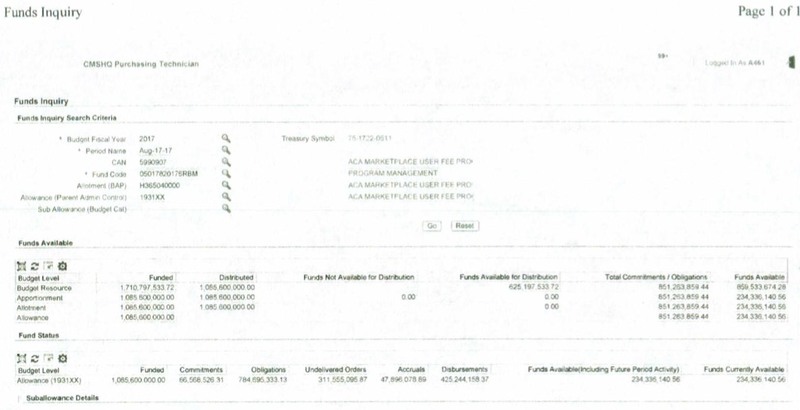 Supposedly, the process had gotten as far as approving the awards and certifying the funds, with CMS accountants having already entered a cost of $60,000,000 into CMS's accounting system, HIGLAS. 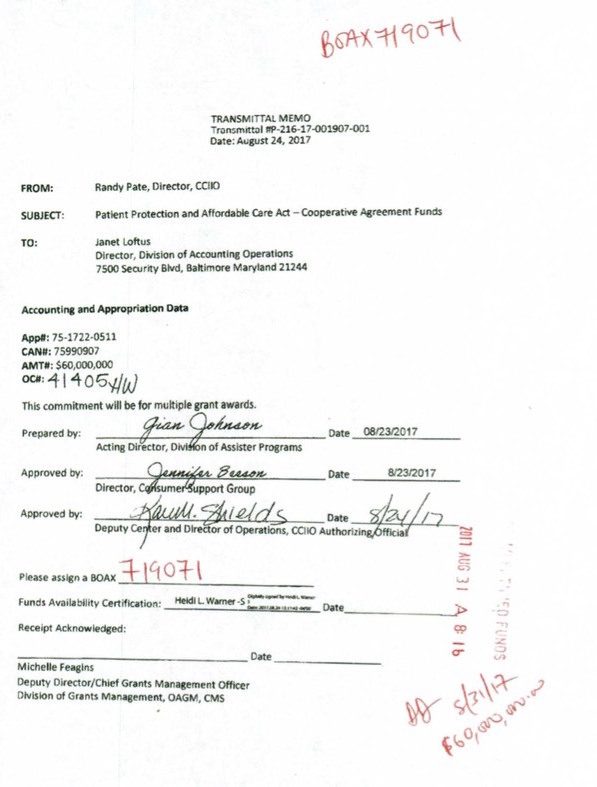 These documents were allegedly in the grant award officer's hands, who was working on the final documents to give out the individual grants. 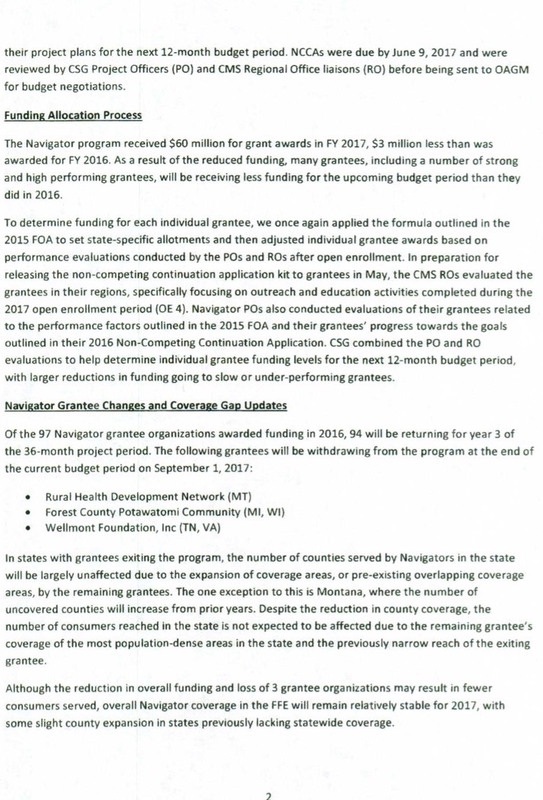 The press release was their first notification that these grants should not go out. Had this release come later, even by a matter of hours, the grantees would have award documents in place. As the situation stands, CMS will now put together documents that will cancel these requests. The documents are records of financial transaction by individuals authorized to take these actions. They are required to be kept and provided to people who request them as part of a FOIA request, CMS financial systems audit or, court proceeding discovery. 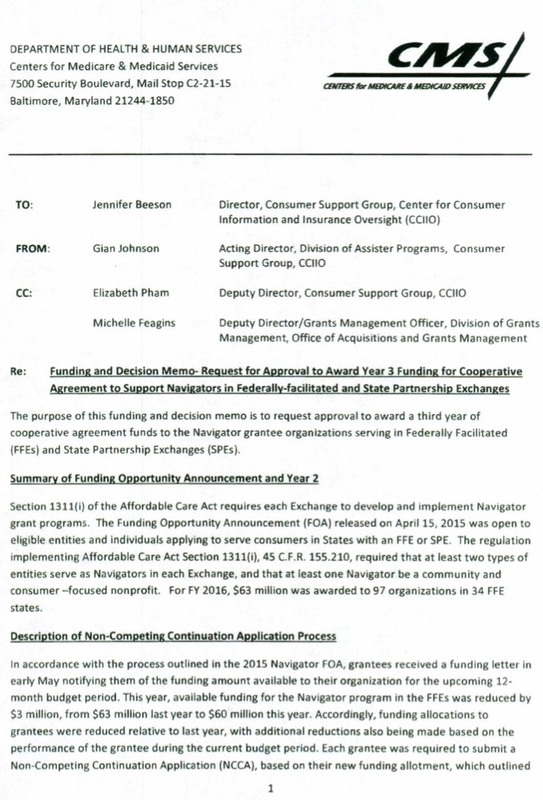 The decision memo shows that the grantees were operating on agreements stretching across multiple years. And that they had good reason to expect that these funds would be awarded this month, which is of course no longer the case. Could the grantees file a lawsuit? Quite possibly, with a good chance of victory. Note that in some of the #RiskCorridorMassacre lawsuits, the courts have ruled in favor of the insurance company plaintiffs despite Congress passing an amendment to the Cromnibus funding bill preventing them from receiving most of the money due to them. 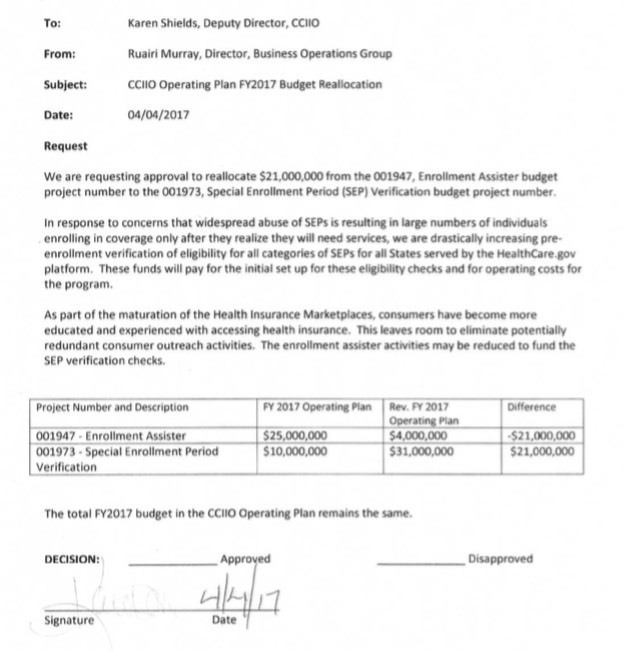 There's also an additional document semi-related to this issue: A fund transfer authorization memo cutting $21,000,000 from the Enrollment Assister program and applying it to the Special Enrollment Period Verification Program.